The SAFOCO Hydraulic Actuator combines simplicity with ease of maintenance to provide an extraordinary value in a SSV actuator. Its operating principle and rugged design make this actuator inherently trouble-free.This hydraulic actuator design has eliminated the problems of downtime and added safety features vital to today’s customer requirements. This actuator is designed for most surface safety applications. 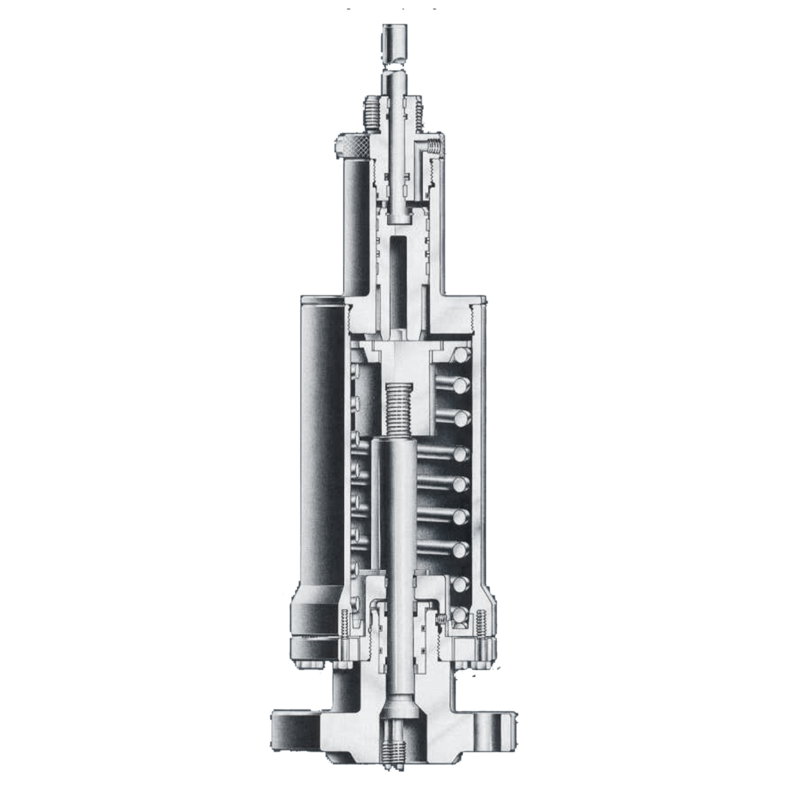 The SAFOCO Hydraulic Actuator utilizes concepts that eliminate galling, misalignment, and distortion during operation. SAFOCO has designed into each model, series, and size of hydraulic actuator the industry’s strongest compression spring. This is important to ensure gate valve closure. No special tools are required when loading the compression spring. Ease of repair and service has been provided by designing the top plug assembly so that it can be removed easily and quickly. SAFOCOS’ actuator philosophy emphasizes safety and reliability, compact and simple design, fast response time, easy maintenance, optional use of control pressure and quality in manufactured service.